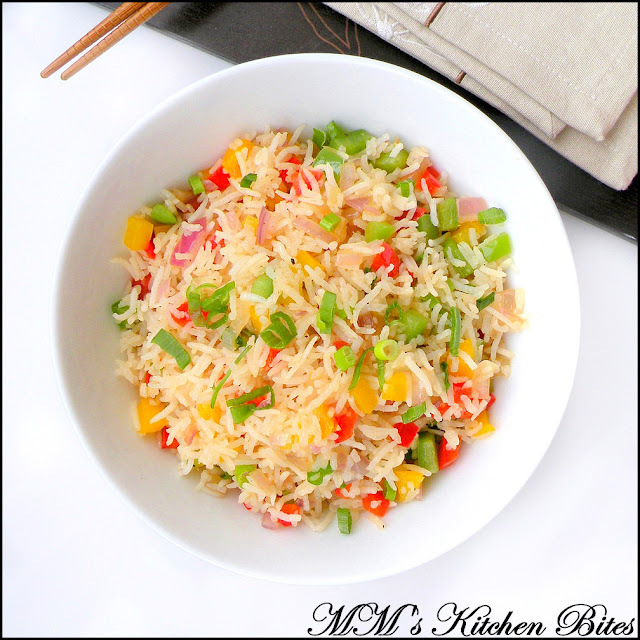 MM's Kitchen Bites: Vegetable Fried Rice..take 2, action! Break up any large clumps of rice before you start cooking. Reduce the heat to medium. Add in the garlic, onions and sugar and stir fry until fragrant. Add in the rice, soy sauce, salt, pepper, green onions (reserve some aside) and toss everything well together. Stir and toss to mix until rice is well coated and heated through. Taste and adjust seasonings if necessary. And done!! Top it up with the reserved green onions and serve hot! !